It is with great pleasure we can announce Motley Magazine has held onto its title of Best Irish Student Magazine. Motley has been the recipient of this award two years in a row now, having been selected for the prize at the KBC SMedias on the 16th of April in the Aviva Stadium, a year after the magazine first won the award in 2014. Along with this, Motley was humbled to be voted as winner of the People’s Choice Award, an award selected by public readers, and Cathal O’ Gara (Graphic Designer, Motley) became the first ever recipient of the new KBC Outstanding Achievement Award. 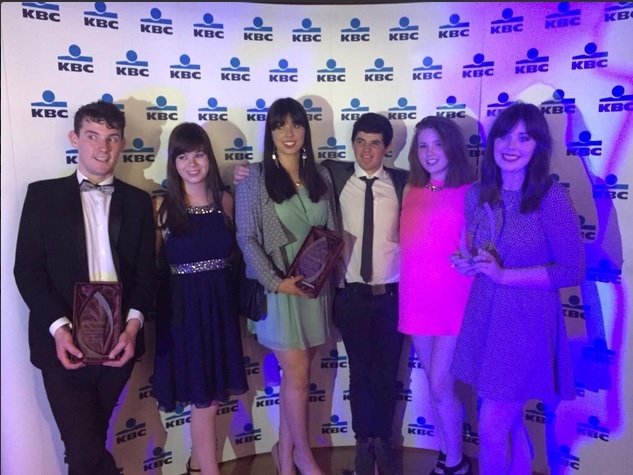 The representation of UCC student media at the annual national awards has been steadily growing in recent years and this year was UCC’s biggest success yet. With a total of 8 nominations for Motley, including Editor of the Year and Design of the year, UCC’s monthly magazine gained the acknowledgement the editorial team have worked so hard for. A great array of nominations were also seen for UCC’s 98.3FM and the UCC Express newspaper. University College Cork brought home five awards in total as Brian Conmy, incoming editor of the UCC Express won Colour Writer of the Year and photographer Emmet Curtin secured the News Photographer of the Year title.